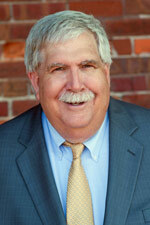 Dave has extensive local government management and consulting experience. Before founding Public Management Partners, he served as the director of public works for the City of Appleton, Wisconsin and held a similar position in Oak Park, Michigan. Previously, he spent more than eight years as an engineering and management consultant working with more than 40 local government clients throughout the Midwest. Dave currently divides his time between managing the Central Brown County Water Authority and serving as the public works and utilities specialist for The Novak Consulting Group, having been with the firm since its inception. As a sub-consultant for a national management consulting firm, Dave analyzed the potential for further integration of the combined Public Works Departments of the City of Louisville and Jefferson County, Kentucky. He provided similar expertise for studies in the cities of Topeka, Kansas; Manchester, Connecticut; and Fort Collins and Boulder, Colorado. He has considerable experience in organizational design; the development of processes designed to achieve established goals; and identification and development of alternatives to outdated policies, procedures, equipment, or technologies. Dave also specializes in regional utility feasibility analysis, revenue development systems, utility rate studies, ordinance development, GIS development, and general management services. Dave analyzed the staffing, organizational structure, and operational efficiency of the Public Works and Parks Departments of the City of Fitchburg, Wisconsin. He also studied opportunities for developing shared services in the Public Works and Parks Departments of the Village of Sussex and the Town of Lisbon, Wisconsin. This project led to a career-long interest in government collaboration as a means of achieving cost efficiencies and improved services. In 2004, Dave accepted the part-time staff position as manager of the Central Brown County Water Authority, the only Joint Local Water Authority in Wisconsin. It consists of six Green Bay area communities that banded together to replace their municipal well systems with a Lake Michigan based water source. He successfully guided the Authority through a regional effort to bid and purchase advanced water meter infrastructure. Through collaboration, six participating communities were able to bid over 65,000 water meters and share physical infrastructure, software, and data hosting services resulting in a life-cycle cost savings of approximately $6 million. Notable projects for The Novak Consulting Group include public works and utilities operational and organizational reviews and evaluations for the cities of Reading and Harrisburg, Pennsylvania as part of their financial recovery efforts. He performed organizational evaluations for Public Works Departments in Delaware and Dublin, Ohio and Fredericksburg, Virginia. He also worked with the Shawnee, Kansas Public Works Department to establish operational priorities and reallocate diminishing budget funds. More recently, he completed evaluations for the Town of Munster, Indiana and the City of Holland, Michigan Public Works Departments. Dave earned a bachelor’s degree from the University of Michigan and a master’s degree in business administration, also from the University of Michigan.